Comes with special movie tickets. Today, 54800 yen on Amazon Japan. Selling & never displayed, opened just to check for defects. free shipping USA only. PM me with any questions or concerns thank you! 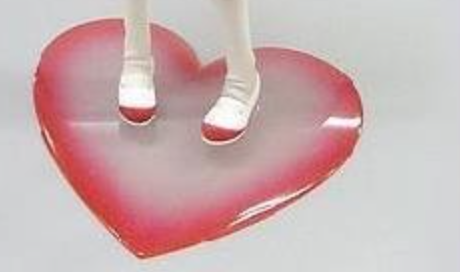 I'm looking for a spare heart shaped stand for Kuro. The one I have broke and I'm looking to get it replaced. Please send me a message if you have one you are willing to sell. Has anyone noticed that one of Kuro's legs is extremely rough? The texture is totally different than the rest of her skin as it feels dried out/scaly but it looks the exact same. Looking to buy both or one, PM me!